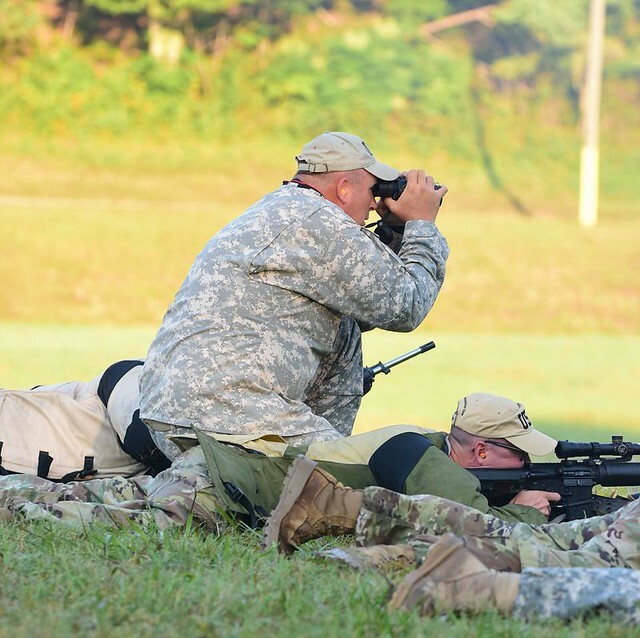 Sep26 by John M. Buol Jr.
Sep18 by John M. Buol Jr.
FORT MCCOY, Wis. – Nearly 130 Soldiers competed at the Army Reserve Marksman Small Arms Championship August 27-30 during the 4-day event testing competitors and teams skill and endurance. 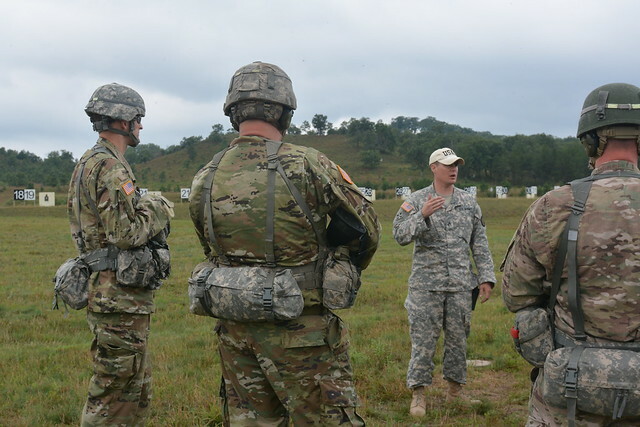 416th Theater Engineer Command achieved the high overall team score, high rifle and high pistol and included firing team members Sgt. 1st Class Martin Braden from Meridian, Idaho, who was the team leader, Sgt. John Halley from Winslow, Arkansas, who placed third overall, Sgt. Jared Henderson from Kuna, Idaho, and Sgt. Andrew Newlon from Springfield, Missouri, was first place (non-pro). Soldiers competed individually with scores adding up for the four-person team score in pistol and rifle excellence competition matches. Sgt. John Halley, a combat engineer with the 688th Engineer Company (Mobility Augmentation Company), Harrison, Arkansas, was selected to be a member of the team when a fellow team member saw he was interested to be part of the team. “We have a wealth of knowledge on the team with shooters of ten years or more experience and wealth of knowledge. We each have a basic knowledge and are able to make on the spot corrections and improvement for the next stage of fire,” Halley added. Expectations are high and everyone wants to win and see their team shoot solid across the board. Team building and knowing each other’s strengths and weaknesses builds camaraderie. “As part of an Amalgamated team, I’m thankful for the experience of each member,” Henderson added. The team consisting of Army engineers was offered experience and has various levels of competition experience with one competing in the All Army Championship. They faced distance challenges and required commitment to practice, often separately, and learn from all the experienced team members. Newlon has competed in five marksmanship competitions to include All Army in 2016 and 2017. This year he has a little extra encouragement to do well during this competition since he’s getting out of the Army Reserve to focus on his career as a real estate investor. The team exerts a lot of time and energy over the four-day competition and experience. “I’m very proud of the members of our team for their performance this past year. Their hard work has paid off. We would also like to thank the 416 TEC for their continued support which has led to our success,” said, Sgt. 1st Class Martin Braden, 688th Engineer Company (MAC). “We’ve been firing together since last March. We train separately and coordinate. Camaraderie is brought about by a common task. 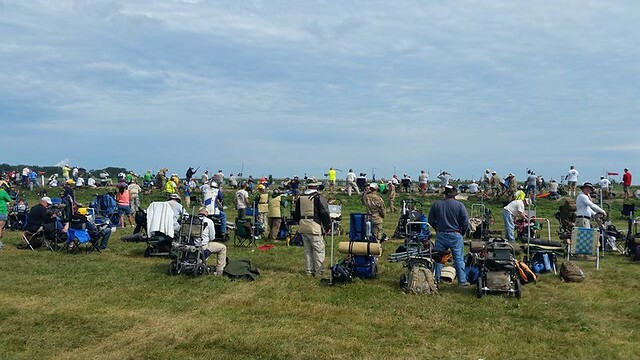 We’re all here to do the same thing…that is shoot well and love the sport,” he added. 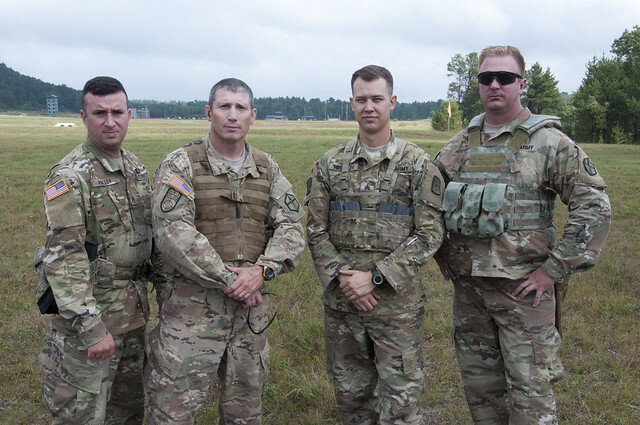 The 416th will have one opening on next year’s team as one member departs and makes room for another team member. 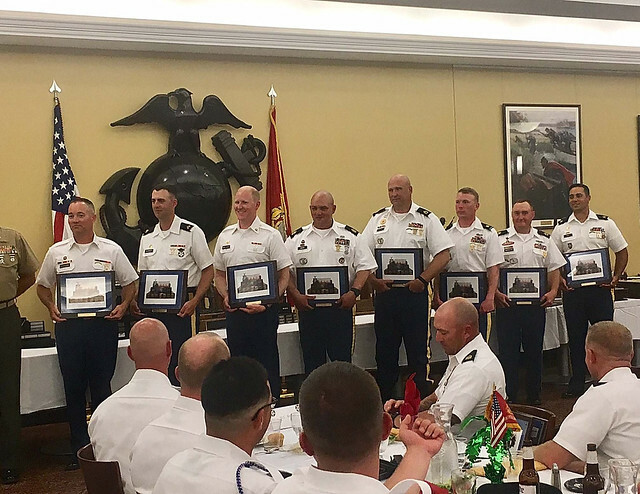 Sep14 by John M. Buol Jr.
Congratulations to the 416th TEC team for sweeping ARSAC 2017. Firing members SFC Martin Braden, SGT John Halley, SGT Jared Henderson, and SGT Andrew Newlon won every Team match. In addition SGT Newlon was the High Overall (non Pro class) winner followed by SGT Halley in third. 416th TEC was the high overall team, high rifle and high pistol. SGT Newlon was first place (non-pro) and SGT Halley was third overall. 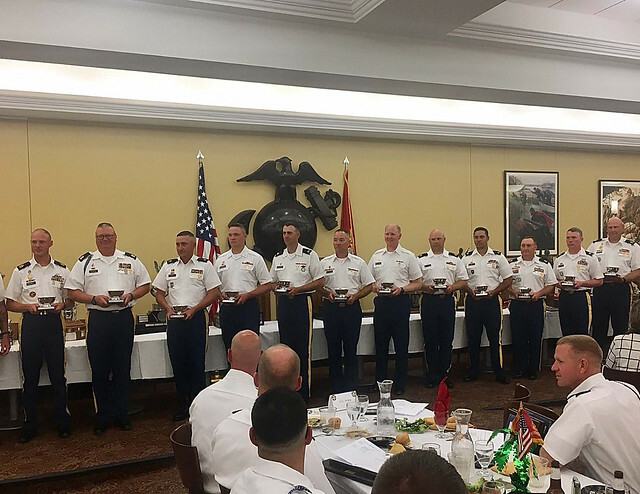 At the Interservice Rifle Championships the USARCMP placed second in the team matches while putting up some formidable scores. In the 10 man team match, the USARCMP bested the previous record by 3 points but still finished 6 points behind the AMU. SFC John Arcularius won the 1000 yard Match with a Service Rifle with a 199-7X. The Army Reserve 6 Man MCDDC Team finished in 2nd place overall and Top Reserve Team today. 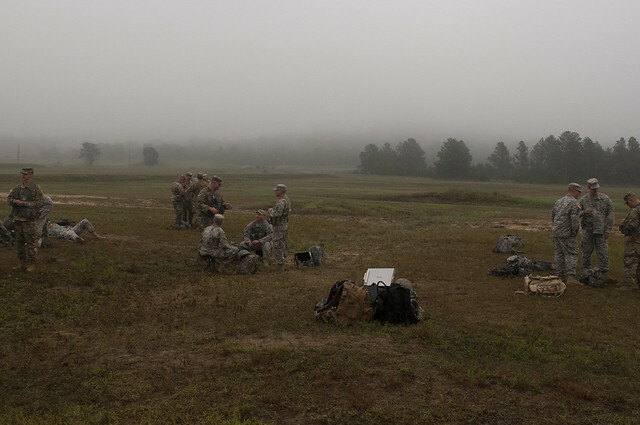 The United States Army Civil Affairs and Psychological Operations Command (Airborne) broke the Post and Station Record MCDDC 4 Man Team record of 1151-31X by firing 1151-41X. The previous record was held by Army Reserve Careers Division. SFC John Arcularius watches the bullet trace over SSG Kris Friend to keep his shooters in the middle at the 600 yard line during the Infantry Trophy Team Match. This match tests the shooters' ability to fire quick accurate shots on a silhouette target with a time limit of 50 seconds per stage. As a 6 person team, they are given 384 rounds to fire on 8 targets. USARCMP bested the previous record by 3 points but still finished 6 points behind the AMU. Jul25 by John M. Buol Jr.
2017 was not as great as 2016. 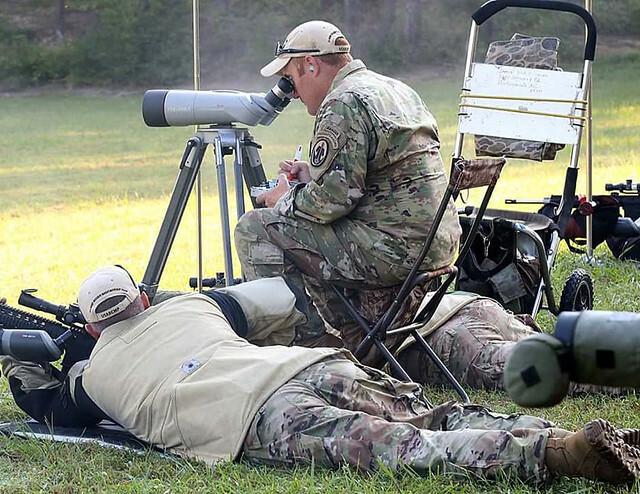 The USARCMP had a lot of great performances and amazing scores posted, including some that broke previous National records, but it wasn’t enough to overcome the tremendous season the Army Marksmanship Unit had. One performance to highlight was that of SGT Nick Mowrer in the individual championship with a score of 998-49x. SGT Mowrer finished in 2nd place, a 3 Xs behind winner SFC Brandon Green. Both shooters had broken a 23 year old record by 3 points! 3 Xs separated 1st and 2nd place at the completion of the 100 shot, 1000 point aggregate match. MAJ Freeman made the President’s Hundred Shootoff. 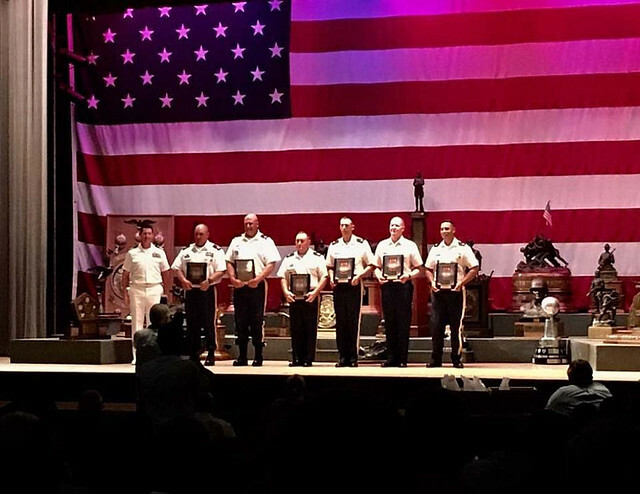 The USARCMP took second place during the National Four Man Team Match. It was a great season and we would like to congratulate all the teams and shooters on a job well done. Time to start training for 2018!